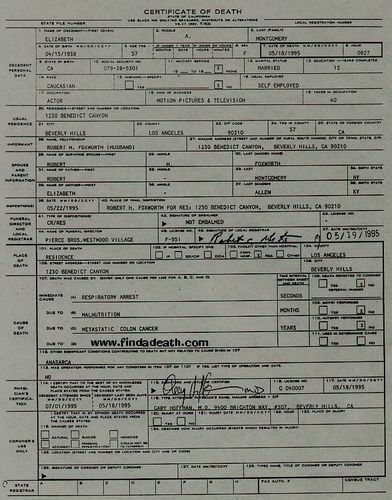 Elizabeth Montgomery 's(Samantha) Death Certificate. 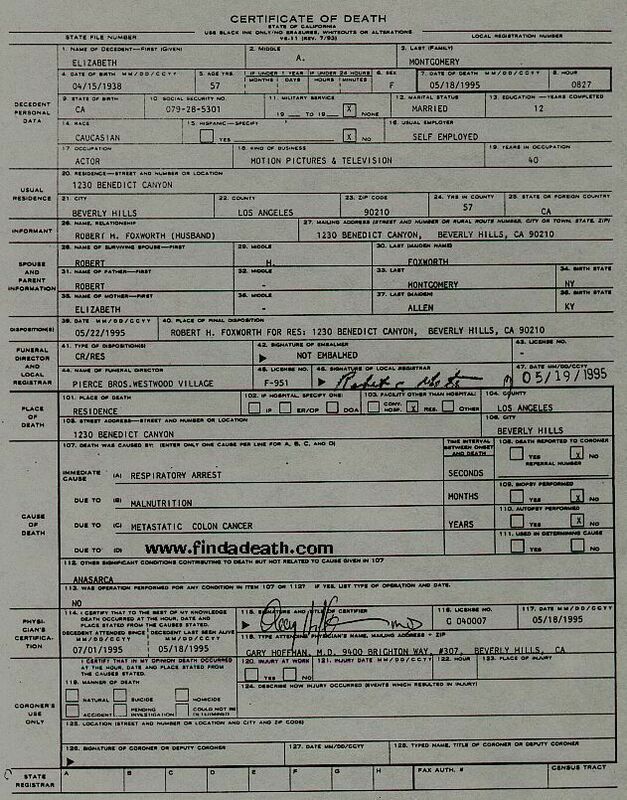 Copy of Elizabeth Montgomery's death certificate. Elizabeth played Samantha in the 1960s classic tv series, Bewitched.. HD Wallpaper and background images in the Bewitched club tagged: bewitched elizabeth montgomery samantha stephens witch death certificate photo. This Bewitched photo might contain akhbar, kertas, majalah, tabloid, kain buruk, and muhyiddin. 1164 Morning Glory bulatan ... Is this the Bewitched House??? Although this copy of Elizabeth's death certificate has been taken from a website, I do have a copy of both Elizabeth's death certificate and her last will. What can I say? I'm bizarre! A little morbid, but hey, I love cemeteries and funerial art! ...Okay, this is just depressing.